We are lucky to have neighbours with large properties (and trees). 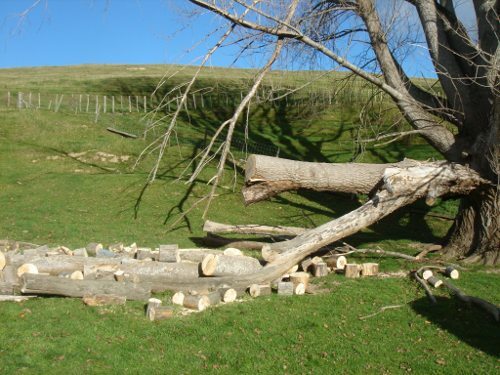 There always seem to be trees around to put away for winter firewood. This is one small piece of a tree I was able to get to. 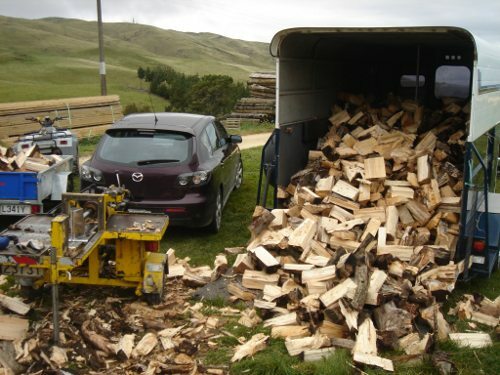 Luckily, most of the wood we collect has been down for some time so is well on the way to being well seasoned. And here is the same tree a few hours later. It’s amazing how much wood you can get split in a morning! Those that know the size our float will appreciate just how much wood is there. Cheers Ben. I know what it’s like to be bitten by a chainsaw and since then, anything involving wood and machinery gets the “extra care” treatment.